Join Rebel Rev. 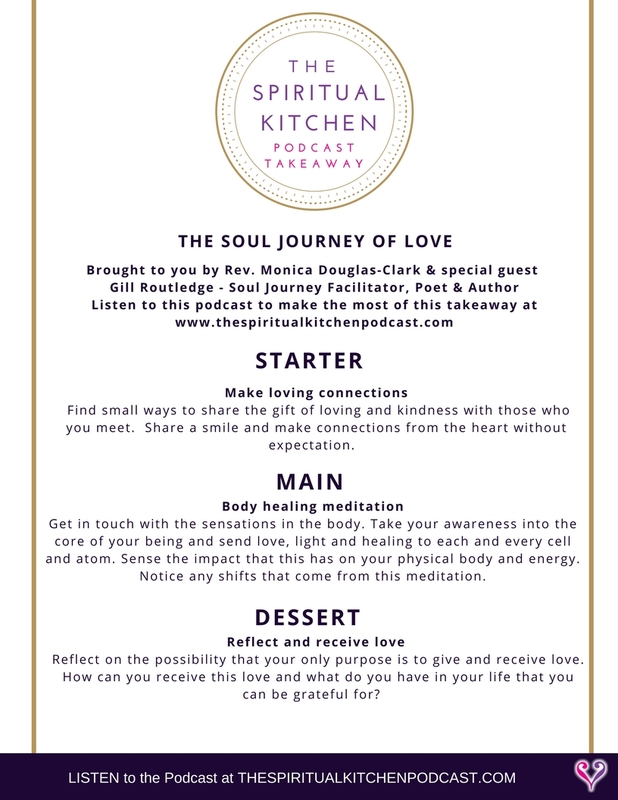 Monica as she sits at the Spiritual Kitchen table with special guest, Soul Journey Facilitator, poet and author, Gill Routledge. Discover how to make and share authentic Love Connections and listen as Gill shares her experience of powerful healing meditations for mind, body and soul.